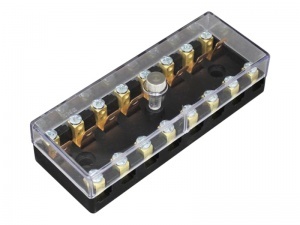 8 way continental (ceramic) fuse box with screw terminals. 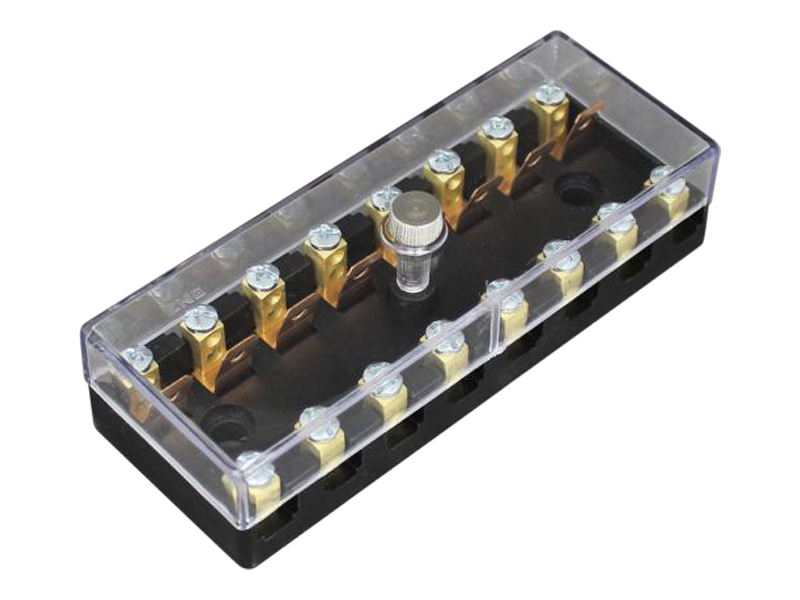 Supplied with clear protective cover which is secured using a thumb screw. Fixing holes are located in the base of the box for surface mounting. 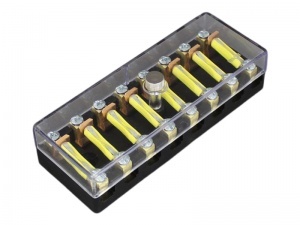 Accepts our range of continental fuses. 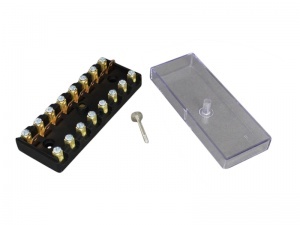 Sold individually (fuses not included).